Before obtaining the first bee colony, the future sustainable apiculturist must master key aspects of bee biology. 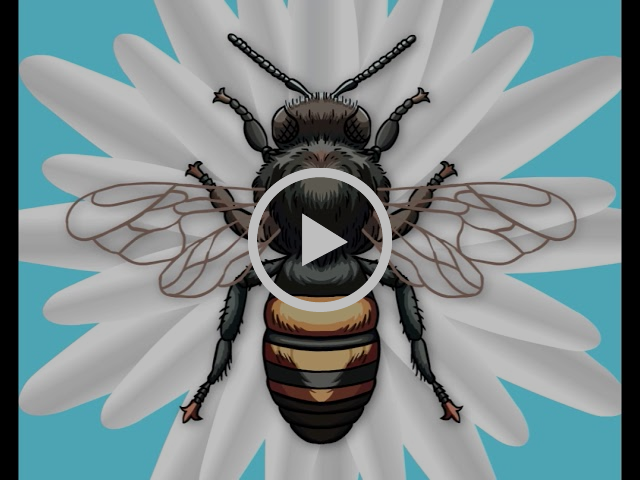 Here we look at the activities of the house bees, foragers and drones. At a certain stage, as bees mature, they move away from the brood area to the areas immediately beside the brood. This includes the areas where pollen and nectar are being processed, as well as the area where nectar is being converted into honey. It is useful to call these older bees house bees since they are leaving nurse bee duties but are not yet leaving the hive to collect pollen, nectar, propolis or water. Pollen Processing – Bees transition to food processing after being the primary consumers of the products. Field bees serving as pollen forgers enter the hive with two pollen pellets on their corbiculae (pollen baskets), and go to the comb near (and sometimes in) the brood area. Once they find an open cell containing other recently collected pollen, they reverse the packing direction and kick off the pollen loads directly into the cells, each pellet in pairs. The house bees then add additional stomach contents (including nectar/honey that contains microbes for conversion to bee bread) and compact the pollen into the cells by pushing with their heads. This increases the efficiency of storage by two and half times. In the fall, the pollen may be coated with a thin layer of honey, but most of the year the house bees keep the pollen cells open and available for consumption. Nectar processing – When a forager returns to the hive, she seeks a house bee (one that has not flown) to transfer the nectar to her. The forager carries the nectar in a specialized organ called the honey stomach. The forager regurgitates the nectar in droplets and offers them to the waiting house bees for ripening before she returns to the field. If the honey isn’t transferred, the forager must ripen the nectar herself. To ripen the honey, a bee rests quietly on the honeycomb and produces a bubble of the honey stomach’s contents, exposing it to the warm and dry air inside the hive. She repeats this process over a 20-minute period before placing the nectar into empty cells in the hive. At that time the nectar has been infused with the enzyme invertase and has been reduced in moisture content. Now it needs time to complete the conversion process in the dry air of the hive. The worker puts drops along the ceiling of a drawn-but-empty cell inside the honey chamber to ripen. The availability of ripening space represented by abundant, empty, drawn comb appears to be one reason why bees collect more honey when such comb is present. Chemical conversion of the honey continues while in these uncapped cells; exposed to the warmed, dry air of the hive as the moisture continues to evaporate. The house bees are the hive members that normally handle this duty. When the flow is heavy, many bees are required to ripen the nectar crop into honey. One advantage of a large and age-diverse colony of bees is their ability to change duties and be available to support a strong nectar flow. They do this much better than a smaller or less age-diverse colony. Wax secretion – When house bees consume nectar and honey, it stimulates them to digest the carbohydrates and produce wax scales on eight wax glands on the underside of the abdomen. These bees manipulate the wax scales with their mandibles to build the amazing wax comb. Some of these bees are responsible for keeping the wax production area warm, using their antennae to measure the comb temperature and heat the area by flexing their wing muscles without moving their wings. These bees have been called heater bees. Guard duty – There are bees that monitor the hive for invaders, including wax moths, small hive beetles and Varroa mites. Their regular duty is to keep bees from other colonies from robbing their hive of the honey and pollen stored there. Undertaker Bees – A specific group of house bees patrol the hive and remove dead members of the colony, taking them to the hive entrance, and flying away from the entrance for 15 feet or more. They then drop the body of their dead sister into the surrounding environment, making it difficult for the beekeeper to monitor colony losses under normal conditions. Other duties – There are other duties of house bees, including general house keeping, queen and drone cell construction and regulation, wash-board activities at the entrance (in kept bees, removing bark from the non-existing bee tree entrance) and much more. Undoubtedly there are duties we have yet to discover. The oldest worker bees in a hive are usually the field bees, or foragers. They search and collect nectar, pollen, water and propolis. Some constantly look for a better supply of food than the one they currently have. Nurse bees require food for brood feeding and beg for food to stimulate foragers to forage for additional food resources. As long as they are able to gather nectar from flowers and unload it at the hive, they will continue to forage. Foragers spend two to four weeks foraging in the Summer. They may be found dead in the field, often in flowers –their bodies worn and wings tattered. From emergence to death, this bee may have lived for just four to six weeks. Bee colonies are social organisms with complex behaviors. One of these complexities is in the way the colony reproduces. With social wasps, bumble bees, and other social insects, new colonies are established by a single mated female reproductive (queen). For example, bumble bee queens mate in the fall and overwinter in the leaf litter in the ground and search for a new nest in the spring. They do not use the nest they were produced from in the previous year as the hives are often destroyed by small mammals and must build their colony slowly. Honey bees are unique in reproducing their social unit by swarming. 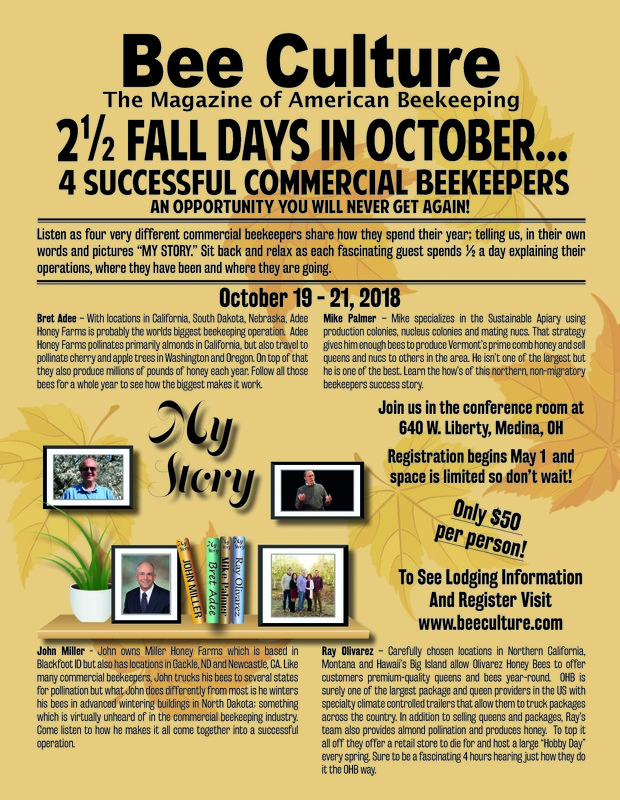 This is an amazing process that involves thousands of worker bees and a queen leaving the hive in a process that stimulates them to find a new home. The rest of the bees and a replacement queen will stay behind and maintain the old home site. Some colonies of bees swarm more than once each year, producing more than one new bee family with each swarm. This is a good thing, since new colonies in nature have a very difficult time living to be one year old. While clustered in a temporary location, swarms regroup for a few hours to a few days while scout bees leave the colony and search for a good home. Scout bees search for a cavity that is big enough, but not too big. It should be safe from predators and environmental hazards. Empty holes in trees, cavities in rocks and human structures are common sites for bees to select. Once the nest is selected, the bees all fly to it and build beeswax comb and start foraging for food. The queen starts laying eggs, and a new colony is established. Swarming is discussed in detail in Chapter Swarming. Drones are the males and have no apparent duty in the hive other than to mate with new queens from area hives. They are genetic envoys that actively seek virgin queens necessary to supply the diversity of sperm healthy colonies need for survival against diseases. Drones die when they mate. It is unusual for drones to mate with queens from the same location – both queens and drones have behaviors that ensure out-crossing and minimize inbreeding. This makes the small-scale beekeeper dependent on the drones produced in colonies within a mile or more radius. A drone. Note the large eyes that touch at the top. Drone saturation requires multiple nearby locations for success. Sustainable beekeepers must understand that the drones they produce in one apiary are probably NOT the drones that will mate with their virgin queens. Instead, the queens will mate with drones from neighboring apiaries and bee trees. Drones have a 24-day development time, the longest of the bees. Drone brood is produced only when the colony is in a growth period, or if the queen has depleted her supply sperm stored in her body. Healthy and diverse drone populations are necessary for genetically robust, disease resistant colonies. 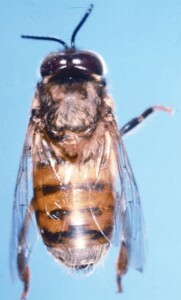 When maintaining a special line of bees like the Russian stock, it is necessary to produce large colony numbers of Russian drones adequate to supply the need for the successful production of Russian queens. This may be a challenge when the nectar flow is over, or when a colony is in stress, as workers expel drones from the hive to save resources (pollen and nectar). Drone cells are larger than worker cells, usually about 16 per square inch of comb space compared to 25 worker cells per square inch. 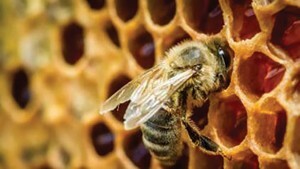 Drone cells are used for the production of drone brood, but they are also the most efficient use of wax for honey storage. Drone brood is present as part of the total brood population during the Spring and Summer. Drone brood is usually located to the side or below the worker brood on a frame. These eggs, larvae and pupae are kept in a compact region of the hive at 95°F. to ensure rapid and healthy development of the young bees. Drone brood may serve as a heat sink for the worker brood during exposure to cold, but this has not been established. Drone bees in the hive develop from unfertilized eggs and are essential for the mating of new queen bees. Drones are a natural part of the hive, but they are normally produced by the colony only during natural mating weather. We do not find new drone production in cold climates during the Winter or when there is no food coming into the hive. Drone populations peak when worker bee populations peak, about the same time as swarming. In strong colonies with abundant food reserves, drones are present for most of the Summer, but their production slowly declines as Summer begins. 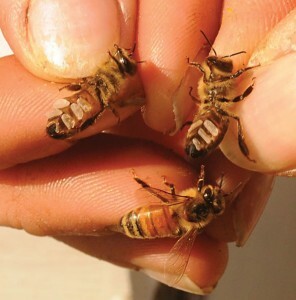 While Florida hives start drone production in January or early February, any drones in Michigan colonies in January reflect a queen failure the previous season. Seeley and Morse’s’ work showed that vigorous, healthy colonies produce about five percent of the colony population in drones. By the Summer equinox the key stimulation of increasing day length slowly reverses, but drone rearing continues until September or November (depending on latitude). A strong incoming food supply prolongs drone production, or it may be done by early June if the pollen and nectar supply has already dried up. This happens in parts of Florida and Texas, as well as other areas of North America. There may be a second cycle of drone production in the late summer and early fall to coincide with local nectar flows, if they happen. When the incoming food is reduced or stops, worker bees become selective about the number (and age) of the drones they keep, even if they are their brothers. The colony rules! 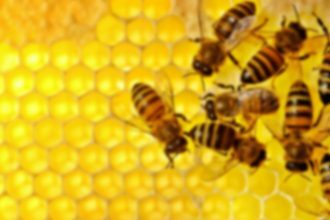 Successful beekeepers learn to accept normal drone populations in a colony as a reflection of a healthy colony. It indicates that virgin queens in the area will be well served by your healthy, strong and well-fed drones. Drones are the only bees suitable to give to curious types who want to handle a bee. They are often warm from the heat of the hive and fuzzy to touch. Use drones to practice marking bees with paint. If you mark the drones in one colony, you can watch how they spread to other colonies in the apiary over a period of several days. Who knew you could use drones as both an art project and a science experiment. Consult www.wicwas.com for the latest quality books on beekeeping.